Dr. phil. Barbara Piatti is a literary academic and author of several books on literary landscapes and travel culture. Prior to starting her own business for cultural history projects (www.barbara-piatti.ch), Barbara worked as the head of a research group at the ETH Zurich for the project ‘A literary atlas of Europe’. With his angels and machines, shiny cities and flying fish, and his enigmatic faces and artistes' bodies, Paul Klee is indelibly inscribed in our collective conscience. As a unique fusion of the abstract and the figurative, his art gives visual form to spiritual worlds. His oeuvre is simply a visual encyclopaedia of "all the beauties and horrors of our world, its fears, hopes and desires, life and death, all things first and last," wrote art historians and curators Dieter Scholz and Christina Thomson. wrote Georg Schmidt, the director of the Kunstmuseum Basel, in 1935. Paul Klee: Senecio (Baldgreis), 1922, Kunstmuseum Basel. 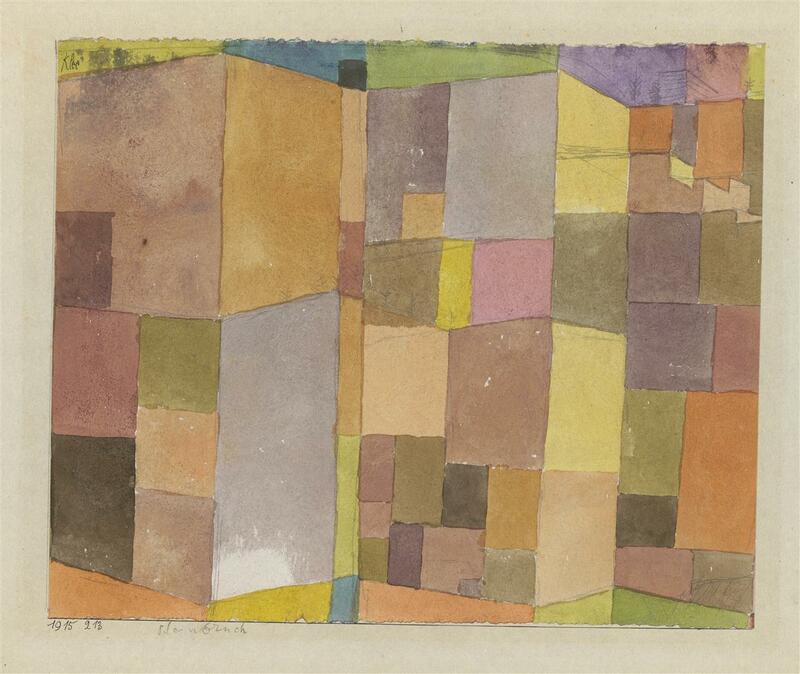 Paul Klee was born on 18 December 1879 in Münchenbuchsee, in the canton of Bern. His mother was a Swiss singer, his father a music teacher from Germany. Klee spent his childhood and youth in Bern. Academically he went from mediocre to poor – but he was a talented violinist and for a time he pondered over whether to make music or painting his profession. In his early sketchbooks he drew the Aare floodplain as well as the Zytglogge tower, Bern Minster and various views of the Matte district. Even then he was experimenting with distortion and alienation. Paul Klee: Bern, 1910, Zentrum Paul Klee, Bern. But Klee was no longer content to stay in the Swiss capital. "Bern is fine if I wanted to be a bookworm or a schoolmaster, but certainly not an artist," he wrote as a 19-year-old to his father. And so, Klee swapped the provincial life for a cosmopolitan city of art: Munich. Here he finished his training and got to know a group of artists calling themselves Der Blaue Reiter: August Macke, Franz Marc and Wassily Kandinsky. And it was here he met and fell in love with the pianist Lily Stumpf. They married in 1906 and their son Felix was born in 1907. The division of roles in the Klee household was somewhat unusual for the time: Lily was the breadwinner, working as a pianist and piano teacher, while Klee looked after their son and the home, even setting up a makeshift studio in the kitchen! 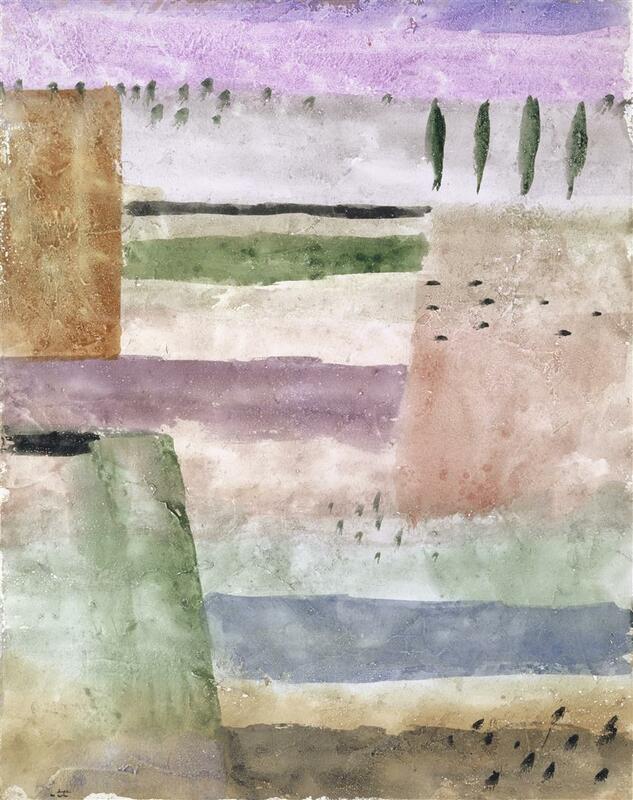 1914 was a turning point in Klee's artistic career, when he travelled to Tunisia with August Macke and Louis Moilliet. At the end of the trip, for the first time ever he felt he had mastered the full range of colours on his palette: "I am an artist". The First World War broke out immediately afterwards, and both August Macke and Franz Marc died in battle. Klee was also called up but escaped the same fate as his friends. The 1920s brought him the breakthrough he sought – not only artistically but also in social status – when he was appointed a teacher, or 'master', at the Bauhaus school in Weimar and later also in Dessau. There he lived in a splendid Masters' House, with Kandinsky his neighbour. In 1931 he was asked to join the Kunst-Akademie in Düsseldorf. Klee's success in Germany was short-lived, however. In the Nazi party's 'Degenerate Art' exhibition touring the country, Klee was among those artists whose work was labelled 'degenerate' and his licence to teach was revoked. Together with Lily, he decided to emigrate to Switzerland. Paul and Lily Klee on the balcony of their apartment at no. 6 Kistlerweg, Bern, in 1935. Photographer: Fee Meisel, Bürgi archive at the Zentrum Paul Klee, Bern. It was in Bern's Elfenau district where Klee produced his most famous latter works – some 3,000 paintings – in the living room of a small but bright three-room apartment at no. 6 Kistlerweg. The painting utensils he left and the paintings themselves show signs of some of Klee's more revolutionary techniques: for example, he painted over and cut up his pictures, built them up over several layers, scraping with his spatula. And he wasn't too proud to transport his paintings in the potato sacks he got from local farmers. Paul Klee in his studio at no. 6 Kistlerweg, Bern, in 1938. Photographer: Felix Klee. Zentrum Paul Klee, Bern, donated by the Klee family. Such tremendous creative power can only be admired, given that he was working under doubly difficult conditions: as an expelled, ostracised artist but also as a terminally ill man. Klee's long, quiet suffering began in 1935 with the onset of scleroderma. This very rare wasting disease caused him excruciating pain in the last years of his life, and still he went about his daily business with dignity, without complaint. In the end, his oesophagus had tightened so much he could eat only soft food. He was quickly out of breath and used to call the short hill up to his apartment his 'Matterhorn'. Paul Klee: The Eye (Das Auge), 1938, private collection in Switzerland, depositary at the Zentrum Paul Klee, Bern. Paul Klee passed away on 29 June 1940 during a stay at a sanatorium in Locarno. He had spent over half his life in Switzerland – a total of 33 years. Yet, he had been born a foreigner in Switzerland and died a foreigner, despite several attempts to obtain Swiss citizenship. Even the day before he died, Klee again made one final attempt, dictating from his bedside a letter to be sent to the naturalisation authorities in Bern. Just a few days later he probably would have received the long-awaited document. An even greater gift, however, is the fact that the world's largest collection of Klee's art is now housed in Bern, at the Zentrum Paul Klee designed by Renzo Piano and opened in 2005. This is largely thanks to four collectors in Bern and Klee's son Felix, who together managed the estate. The Zentrum Paul Klee is home to over 4,000 works by the artist, of which around 250 are on exhibit at any one time. I cannot be grasped in the here and now. For my dwelling place is as much among the dead as the yet unborn. Slightly closer to the heart of creation than usual. But not nearly close enough. Klee's family grave with a bronze plaque at Schosshalden Cemetery, Bern. Klee's wife Lily and son Felix are also buried here. Paul Klee: Cat and Bird (Katze und Vogel), 1928, Museum of Modern Art, New York. Paul Klee: Quarry (Steinbruch), 1915, Zentrum Paul Klee, Bern.